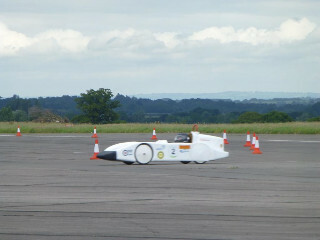 The international final of the Greenpower challenge was held this year at Rockingham. Rotary racer, as defending international champions, had high hopes for this race, aiming to get a podium finish. 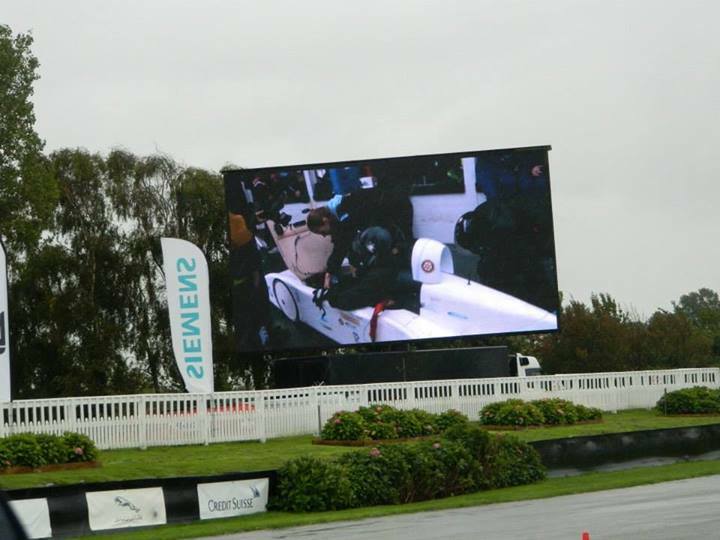 The eventful day started with torrential rain drenching the practice drivers, therefore Greenpower decided to cancel the parade. It continued rain as race 1 started, Joe was our first driver going for 20 minutes, shortly followed by Daniel driving for 30mins, which by then the rain had stopped. Our 3rd and final driver Will was next at this moment we were about 8th place. So Will had a lot of catching to do. In the end, we came in a very respectable 3rd. Soon after a quick gear change, the F24+ race was underway with Louise racing. She was facing lots of big companies such as Renishaw, jaguar land rover. JET 2 and Renishaw had started fast and gaining a large lead while we were battling with JLR and Stealth racing for 4rd place. We were starting to drop behind but still with contention for 4rd place. However, it was too much to ask for as we finished in a well-earned 6th. Then followed the last race of the day, starting the race of we had Tom doing 20 minutes. Then shortly followed by Joe for 30 minutes. Then finally Will, who after an amazing race this morning was doing 40 minutes again. The race started of alright with us in 6th and still in hope for 2nd or 3rd but no hope for 1st with Dylan bombing it around the track, gaining a massive lead. As the race went on cars in front of us started to drop off as we progressed into 3rd. We were doing well but we were taking a massive amount of power that we later found out was the result of a puncture. However, we managed to keep our 3rd place. 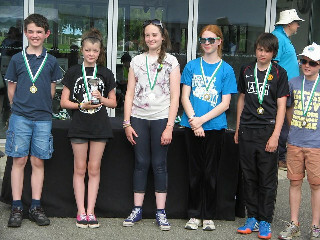 At the end of the day, we had won 2 3rd places, which we were very pleased with. 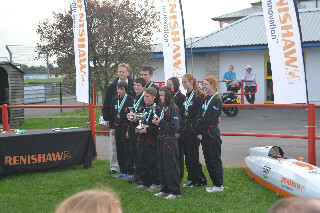 On the 25th of September, all four Chipping Sodbury School Greenpower teams went to Castle Combe for a day of racing at the Renishaw heat. The first F24 race was very competitive and all four teams were confident – however all teams but Rotary Racer had broken down! Rotary Racer finished 1st with Terazoid and Dylan behind us. F24+ was almost a disaster; we lost communication with the driver and we didn’t get any response back from her until we were waving signs at her. 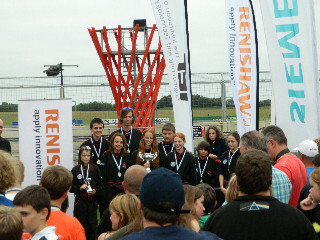 We managed to get a 3rd with Renishaw in 2nd and Jet II in 1st. The second F24 race was alright – Rotary Racer finished 1st again, POD gained a 10th place however Alderley and Chain Reaction broke down- again! All in all however, it was a good day. After a 4:30 start, the team reached Rockingham ready for an eventful (and wet) race day. F24 first race began with small gaps between the first few cars, so the tension was high. It was evident from the start of the race that our batteries were not good, so we put the power down in the hope that they would last the full 90 minutes. Pit stops on the day went pretty well (look at rotary racer's twitter for a video), although still much slower than the other cars so we were depending on our car having better stamina than the others. In the end of the first race we came a safe 2nd and with no time to celebrate we rushed our car into the pits for a gear change for the 24+ race. This race is a much faster race with only one driver and we managed to get 4th place, behind Jet II and two Renishaw cars. It was an extremely close race with 3 seconds between us and 3rd place. After another very fast gear change, the rain began to start just in time for the next F24 race. We quickly realised that our batteries were even worse than in the first race and were silently praying for them to last. Even though we had put our lightest driver in for the longest stint our batteries were failing rapidly, but we just managed to hold on till the end of the race (at one point going down to -1% battery) and gain 5th place. With Merryfield being an open airfield, we were all feeling a bit apprehensive about the weather. However, good old England pulled through and we only had a couple of minutes of rain shower in the end in addition to such a good day at Merryfield. The team started the morning bright and early at 7:30am, setting up the car quickly and going straight into scrutineering. 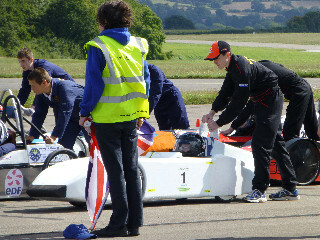 The car passed and soon the team were setting up the marquee and pushing the car out into practice. This was the first time racing for one of our new drivers – James – as well as the first time on the track for both Ben and Tom. All drivers drove spectacularly in practice, coming out of the car with large grins on their faces and the only complaint being the track was very bumpy – traditional for Merryfield. he car was pulled out of practice 20 minutes early and all of the tyres were replaced ready for the first F24 race. This was done quickly and the team were soon out ready for the first race with Tristan being the first driver. The team opted for a 20-30-40 minute style with the pitstops to try and miss the worst of the traffic. Tom followed Tristan after a speedy pit and soon the last driver, Joe was in the car for the last stint. However, the batteries we were using were well past their best and, as it neared the end of the race, they started to die. The whole team were sat in the pits looking on worryingly as the battery readings apparently showed that we had -10% battery power remaining (yes, that is a negative sign). 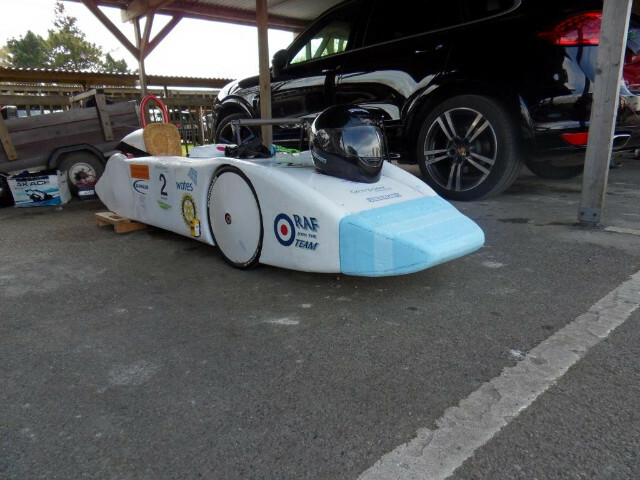 Even through this though, the team managed to speed across the finish line in first place with a final mileage of 41.3 and an average speed of 27.2mph – 0.1mph less than the first F24 race at Merryfield in 2014. However, the team had little time to celebrate this victory as the car was quickly pulled off of the track and into the pits where a speedy gear change was done for F24+. A fantastic hours drive from Dawn got us into 2nd place, just behind the leaders Jet. The average speed was 33.8mph and a total mileage of 34.5 was completed. Back off the track and another speedy gear change saw the car going out for the second F24 race. Alas, the batteries used here were even worse than the set used in the first race and after the second driver the team were cutting back the warp rapidly as the remaining battery percentage dropped even lower than that in the first race. With a fight for 3rd place with Hummingbird, the car couldn't hold up but the team still gained an incredible 4th place. 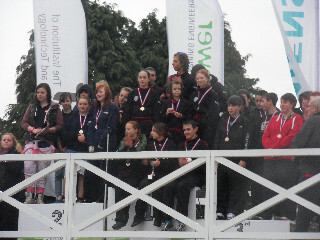 All in all, a fantastic day racing at Merryfield and the team even won the portfolio award for the work on our website! A massive thank you to everyone – volunteers, parents, sponsors, Greenpower, other teams – for making it such a great day racing and we hope to see you all again soon! We are pleased to say that our first race of the season has gone incredibly well! We passed scrutineering without any problems. 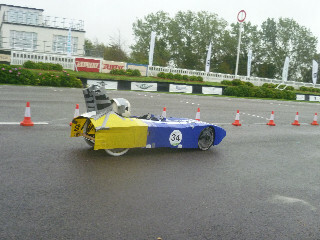 After we had passed scrutineering we soon set off out on to the Goodwood race track for practice. This gave our newer drivers a final recap before setting off into the actual race. The first to drive in the practice was Joe, the car seemed fine, except some rubbing of the tyres on the foam. Each driver got a few laps each for practice. The first to drive in the F24 race was Tristan (who had improved lots since last year), Tom (our newest driver) and then Joe. We had battery power problems and therefore at the end of the race we had -19 percent so we ended up coming 2nd. Unfortunately neither Dawn nor Tom attended the race because of exams. However this ended up being a good thing because we did not have to change the gear. 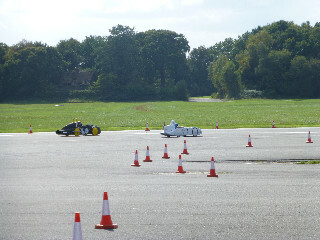 After lunch it was time to get the car back out on to the track again, this time the drivers were Joe, Tom and Tristan. In this race we ended up coming 1st! Both races were very successful and our newer drivers have now got even more experience. The results were surprising - we achieved 1st and 2nd place in F24. We had very good weather. Pictures can be found in our showcase. 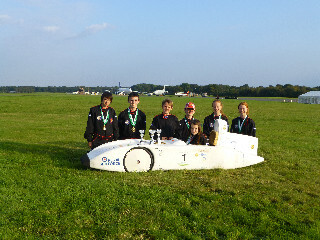 The first International Final of the Greenpower IMeche Challenge was held this year. Rotary Racer, as defending National Champions for the past 3 years, had high hopes for this race, aiming to get a podium finish (although this would not be easy). Practice went quickly; following the driver briefing ran by Josh, the clerk of the course for the day’s event. There was enough time for all of our drivers to get to grips with the track, including Tom, our other F24+ driver who wouldn’t be racing. After the traditional annual parade along the pit straight, Jacob was our first driver, going out for 20 minutes. 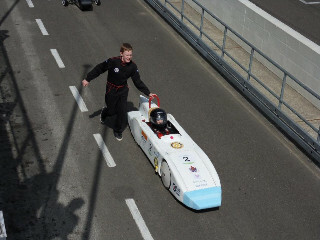 Joe followed him after a quick pit stop and drove for half an hour, although the Weald School’s Black Bullet had created an impressive lead during the race so far. After another 30 minutes, Louise was our final driver, racing for the remaining 40 minutes. By the end of the race we had secured a strong distance between us and 3rd giving us a 2nd place position, but Black Bullet had created a lead of 2 and a half minutes. Dawn would be racing in the hour-long F24+ race. 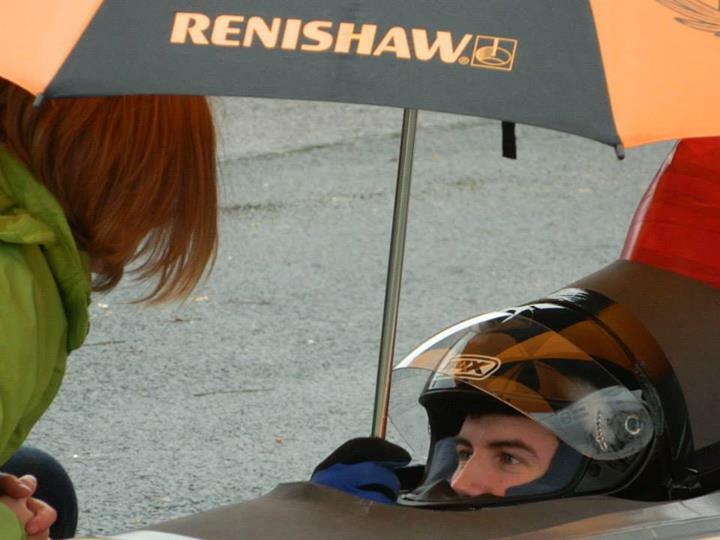 She was facing an improved Renishaw Reprobation car, as well as the usual competition of JET from Cullimore Racing. JET pulled out a large lead very quickly, settling into a fast pace that lasted the entire event, leaving Dawn to contend with Matt Hunter from Renishaw. In the last 10 minutes of the race, Renishaw used their gearbox setup to go on a sudden sprint pace, overtaking Dawn and taking 2nd place by 3 seconds, earning us a bronze medal for F24+. 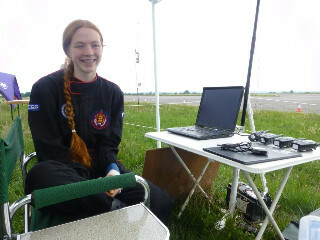 The 2nd F24 race was started by Louise after a quick gear change, during which time the weather turned from overcast to rain. She drove for 20 minutes, followed by Joe for a further 30 minutes. We were a fair distance behind Black Bullet but we still had Jacob to go for his 40 minute stint to the race end. In the final 20 minutes the rain increased to a downpour, and Black Bullet's batteries began to deplete rapidly and Jacob was starting to gain on them by over 10 seconds a lap. Due to the rain, the race was cut short and it was a tantalising wait for the team to see which car would come round first. Amazingly, it was Jacob who appeared, overtaking the opposition in the last few seconds to gain us a 1st place position (by just 3 seconds!). At the end of the race day, Rotary Racer had won each of 1st, 2nd and 3rd place, giving us the title of 2nd Internationally for F24 and 3rd in the F24+ category. 2014 was an amazing year of engineering and racing for Rotary Racer, with fantastic results at each race, and great development to our car and also the work as a team on our racing simulator. We look forward to developing the car even further next season and look forward to racing once again. Huge congratulations to new champions Black Bullet and JET, and also the hundreds of other teams who participate in this competition. 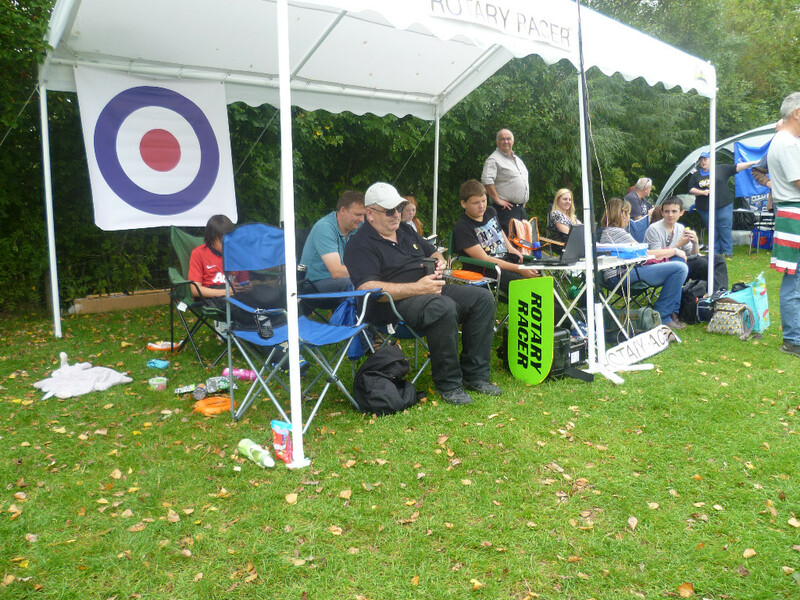 Massive thanks go to Jeremy and his army of volunteers who make Greenpower the great event that it is. Also, a huge thank you to all our sponsors who make this whole challenge possible for the team, without them we wouldn't be able to do this. The race at Castle Combe this year was always going to be an exciting one, and it proved to be just that. With the team at the local race, the pressure was on to do well in order to qualify and keep hold of the South Gloucestershire Cup. Only 20 minutes down the road, the journey was much more pleasant than many of the other races, and the team arrived bright an early ready for scrutineering. This was all completed quite quickly and soon enough the team were leaving driver's briefing ready for practice. A 17 tooth gear was used for practice, giving a gear ratio of 2.82, as suggested by the calculations done beforehand. However, we soon realised that this gear would need 'upping' as the car was running much better than expected. We were unsure as to whether this was due to the new, smoother cockpit we had made the previous week, or whether the race conditions on the day were causing us to go much quicker than we'd thought. In any case, the car was pulled out of practice 20 minutes early and the older F24+ members set to work changing the gear to an 18 tooth (with a new gear ratio of 2.67). The gear was changed quickly and we were soon lining up for the first F24 race. 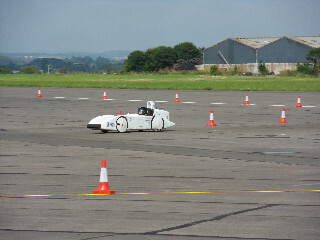 Once on the track, the temperature of the batteries were tested (all okay) and a quick brake test was done (also fine). Jacob was our first driver, and he was zooming off the starting grid, getting himself into first place by the end of the first straight. He held this position for the whole 35 minutes when, after a speedy pit stop, Tristan took over and managed to maintain a good position until Louise took over for the last stint. Another speedy pit stop and Louise was whizzing off with full throttle which ( according to data analysed after the race) she never did let go of until crossing the finish line, gaining the team a first place position. The car was pulled into the pits quickly and the gears changed up for F24+. Tom and Dawn had decided to go for a 21 tooth gear, giving a gear ratio of 2.29. This proved to be a good move, and the race seemed to go remarkably well. After a scary time with the batteries at the end (would we make it?) the team managed to gain a 2nd place victory, just behind Jet and with Renishaw's Reprobation taking 3rd place. The car was then taken into the pits yet again for another speedy gear change. This was actually the quickest gear change of the day, only taking 10 minutes! The car was quickly taken back onto the grid for the 2nd F24 race, where the batteries and brakes were both checked again. This race also went spectacularly well, with the team gaining another 1st place victory. 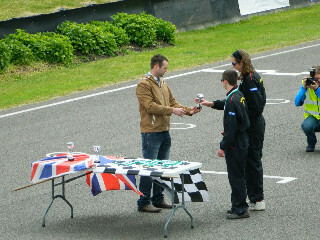 The drivers for this race were Louise, Joe and Jacob. The third race of Rotary Racer’s 2014 season took place at Dunsfold Park in Surrey, also known to many motorists as the Top Gear Test Track. The first of us arrived on site at EXACTLY 7.30am (the sat-nav got the time right for once! ), followed 10 minutes later by the rest of the team. Dunsfold was the first race where we would be using the new headrest fairing that we had created a few weeks earlier, using a more flexible material that allowed us to get in and out of the car easier, whilst also keeping its shape when driving. This had been made up by a few of the F24 team members and proved to be incredibly successful on the day! 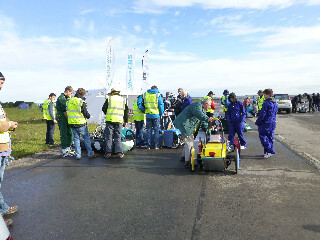 Arriving early meant that we were the able to get in quickly and be the first team for scrutineering. We passed the scrutineering (always a good thing) fairly quickly and set about preparing for practice. Louise was the first for practice, getting 3 laps to get to grips with the circuit: the last time we had raced here was in 2011, so even the more experienced drivers in our F24+ team had lost touch with the track. Jacob, Tristan, Joe and Tom all followed after Louise, and we had enough time left during the session to allow Dawn a few laps, having not raced since the start of the season. The first F24 race was started by Louise, pushed off by Jacob. Louise pulled us into a fair lead over the other teams, giving Tristan, one of our less experienced drivers, a comfortable distance to gain his confidence on-track. Jacob was our last driver for the first race, pulling us back up to 3rd place at the end, a fantastic achievement for the team. After a slightly rushed recovery from the track, we switched our gears for the F24+ race, and Dawn pushed Tom out to the start grid for the next race. 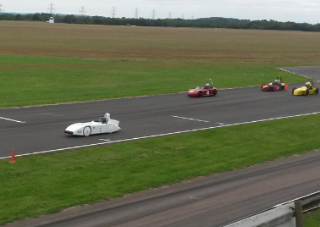 We started the race with Jet from Cullimore Racing on our left and Jaguar Land Rover’s Driven to our right. Jet easily had a speed advantage over our car, but Tom managed to hold 2nd place throughout the hour, earning silver (much to Dawn’s delight) at the end of the race. The final F24 race of the day was also spectacular, with Jacob, Joe and Louise holding 1st place for the majority of the race, winning the team the gold medal, completing our set of 3 races throughout the day. Rotary Racer set the fastest lap of the day in F24 of 1 minute 29 seconds with an average speed throughout the race (including the pit stops) of 27.2mph. We are incredibly happy with a 3rd, 2nd and 1st place respectively, with our drivers gaining more confidence on track and look forward to the home race at Castle Combe next week! It was an early day for the team as we made our way to RN AS Merryfield for a day’s racing in the Somerset regional heat. We came prepared with a few bags of spare tyres knowing that the track would break through them quickly. We passed scrutineering quickly and were straight out for practice. This was the first time racing at this circuit for 2 of our drivers, Tristan and Joe, and we wanted to make sure that they were fairly confident before we put them into the race. The car seemed to be going well, and we decided to stick with the 15 tooth gear (giving a gear ratio of 3). After practice we did a quick check over of the car, looking especially at the tyres (replacing 2), before getting ready for the first F24 race. The first race went incredibly well, with Louise taking the car off from the starting line (with a push from Jacob). After zooming round the track, the car was quickly into the pits and one of our new drivers, Tristan, took over. The race continued until Jacob was put into the car, and the team managed to zoom their way around the track to gain a first place position. Due to having a new driver in this race, very little of the battery power was used up and we finished with still 20% battery power remaining! A quick gear change was done and another tyre changed before the car was straight out again for F24+. The team had decided to go for a 21 tooth gear (compared to the 23 used at Goodwood) giving a new gear ratio of 2.29). This race was a spectacular one, with both Rotary Racer and Jet (from Cullimore racing) staying within 0.5seconds of each other throughout the entire race! In the end, we managed to gain a 2nd place position with only 0.5 seconds recorded between us and the 1st place car. Both drivers had found the race incredibly exciting, and it was nice to prove to be some competition for Jet for once! Another quick gear change and check of the tyres and the car was out again for the second F24 race. This whole race went very well from start to finish, with Jacob, Joe and Louise taking another 2st place victory for the team. The tyres even managed to hold up throughout the whole race (although one tyre had managed to wear away to the canvas!). Once again, a massive thank you to Greenpower, the volunteers and all our sponsors for making this kind of challenge possible, and we look forward to the next race after the summer! This gave our newer drivers a final recap before setting off into the actual race. The first to drive in the practice was Louise, the car seemed fine and we had no visible problems so far. Each driver got a few laps each for practice and a bit more experience for the newer drivers. 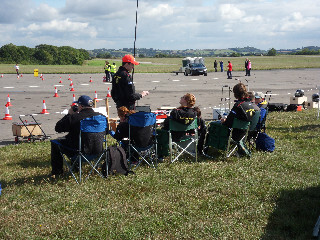 The first to drive in the F24 race was Louise, Becky and then Joe. Then we had the F24+; Dawn drove for this race and she achieved 2nd place. After all the excitement we all needed something to eat. After lunch it was time to get the car back out on to the track again, this time the drivers were Tristan, Jacob and Joe. During this race we had a slight incident were our car span off leaving the car to be brought in on the recovery truck. However, the driver soon got back in and continued driving till the end of the race. Both races were very successful and our newer drivers have now got even more experience. The results were surprising - we achieved 1st place in F24 and 2nd place in the F24+. The quickest lap was 4’8 and that was in the first F24 race. The average speed was around 29.6mph. We were extremely lucky with the weather and we had sunshine throughout the whole day. Both races were very successful and our newer drivers have now got even more experience. Pictures can be found in our showcase. After a quick rush to get the car finished in time, we soon found ourselves once again at the marvellous Goodwood race track. The sun was shining and the daffodils were up and ready for the first race (ish) of the season. 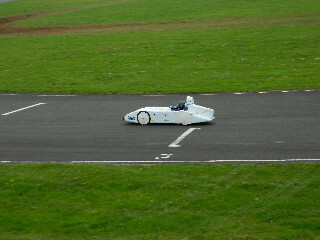 After passing scrutineering without any faults (luckily!) the team set off to get some much needed practice in. Due to us having 3 new drivers this year, our test day mostly consisted of giving them a chance to get used to the car and have a go at driving. Louise was sent out first to check the car was running properly, and it was a good job too as it seemed as if our new speed controller was playing up a bit. We took the car in and swapped round a resistor, putting in Joe (one of our new drivers) next. He had a great drive, gaining speed as he completed his first few laps and gaining confidence in the car. However, we did have to take the car back in again to put in another resistor across the speed controller (it was a bit of trial and error really) but this time we got it right! Next was Tristan and then Max, both new drivers who drove incredibly well for their first drives. The car was running almost perfectly with only a small issue with the brake lever being pulled slightly too much, making our car seem like it had a mouse stuck inside. 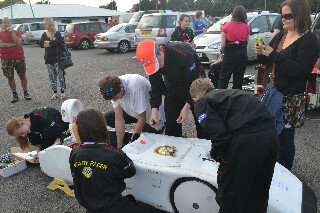 2013 has been a busy year for Chipping Sodbury School's Greenpower project, with new cars being designed, built during the Monday evening sessions and raced at events around the country. Greenpower is an engineering initiative where teams of pupils (from year 7 through sixth form), parents and teachers work together to build their own electric race car, gaining vital engineering experience as well as skills of leadership and teamwork. All the pupils have been busy trying to get their car to achieve the best it possibly can with the help of technology provided such as virtual wind tunnels and CAD modelling systems. The competition: the best teams and cars from over 200 schools situated all over the country as well as some entrants from companies, the USA and Poland. 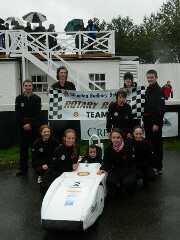 There are 4 teams in Chipping Sodbury School: Rotary Racer, The Pod Movement, Chain Reaction and Alderley Express. Each team has been working hard throughout the year on their cars, and this paid off as every team managed to make the final this year (only 74 cars were racing at the final out of the hundreds of schools that take part). 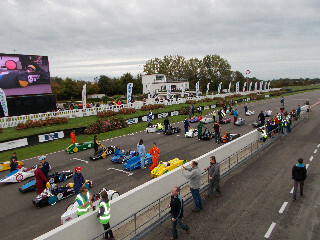 The final was held at Goodwood Motor Circuit on the 13th October, and it promised to be an exciting day. The conditions on the day were far from pleasant, with rain making an untimely appearance in both the F24+ (the 90 minute sprint race for ages 16-25) and the F24 (the 4 hour endurance race for ages 11-16) races. 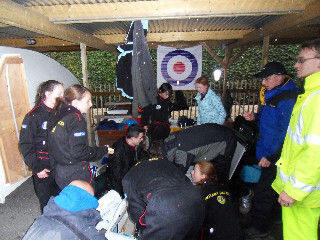 However, all four teams kept in high spirits and battled on through the conditions. All four cars passed scrutineering (where your car is tested to make sure it is safe) and were soon ready for the races to start. The F24+ race came first where only 1 driver is needed with 2 pairs of batteries (each battery has 12V) allowed for the duration of the race. 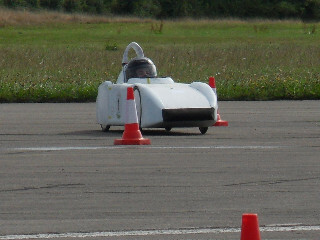 Only two teams from Chipping Sodbury currently compete in this race : The Pod Movement (with the ByPod and Tpod cars) and Rotary Racer. ByPod were entering this race with a chance at a championship podium position after their fantastic racing throughout the season had gained them 18 points. e found to have caused the foam side of the car to move slightly). After this, the Rotary Racer F24+ team sportingly drew out of the race to save the car for the F24 team later on in the day. But The Pod Movement continued to fly around the track, with both ByPod and Tpod proving to be competition for the 31 cars that were around on the day which included the fast Jet and Dougal and many corporate cars. Excellent pitstops (with help of TPM's F24 team) kept the cars in high positions, leading to them finishing in 3rd (ByPod) and 12th (Tpod) positions; a fantastic result to end the season. These finished helped add to the championship positions with ByPod coming 3rd, Rotary Racer 8th and Tpod 16th out of the 31 cars that took part. Congratulations to everyone involved! After this exciting race, all of the teams were eager to get the F24 race started. After a quick parade to show off the car, and a prize giving for the F24+ teams, the race was under way! 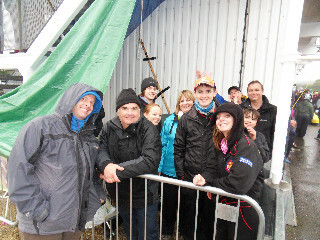 It definitely proved to be a challenge of 'the survival of the fittest' as team after team were brought into the paddocks due to the wet conditions hindering their cars. Nonetheless, all Chipping Sodbury teams continued in high spirits, showing great determination throughout the 4 hours. Five pitstops were taken for each team, changing drivers each time and using 3 sets of batteries throughout the race. Rotary Racer had remained in a consistent 4th position throughout the first half of the race, but managed to climb up to 1st position in the last couple of hours as the number one car was brought into the paddocks due to an electronic failure. The team were elated as they managed to cross the finish line to gain National Champion status for the third year in a row, completing 118 miles despite the rainy weather! Tpod also battled through, jumping through many different positions throughout the day to finally pass over the finish line in 45th position, completing 76.8 miles. Chain Reaction and Alderley Express were virtually neck and neck the entire race, crossing the finish line with just a few minutes between them to gain 34th and 35th finishes respectively, both finishing having driven over 80 miles during the race. the DT rooms during the winter by the teams, and hopefully the Chipping Sodbury cars will continue to prove high competition for all the other Greenpower teams nationally in 2014. A huge thank you to Greenpower for organising the day, and to Mr McMorrow for giving up his time each week for the teams to work on their car. Also many thanks to all of the sponsors who provide money and other support to allow us to compete in this national challenge. Finally, a massive congratulations to each of the students and parents for their success on the day, each team should be incredibly proud of what they've achieved! Good luck to all the students who are leaving this year, 4 of whom are going into engineering at university/ in an apprenticeship! Gareth Barnaby, Dan Dando, Ben Miller, Matt Hunter and Gavin Woodruff. 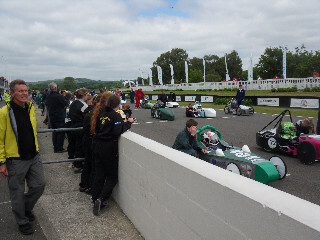 On 13th October, all four Greenpower teams from Chipping Sodbury School took the the Goodwood Motor Racing track to try and battle the opposition in the final of 2013. Over 80 teams were racing on the day with 31 in F24+ (for the sixth formers) and 74 in F24 (for the secondary ages pupils). The weather for the day was far from pleasant, with almost constant rainfall throughout both races and cold conditions of around 12 degrees. However, all the teams battled on through the conditions, showing both enthusiasm and enjoyment with an umbrella always handy! During practice Rotary Racer had to be picked up by the recovery truck after one of the team members had not fully connected the batteries. This resulted in a mad rush in the pits to solve the problem, and then a quick gear change (as previous practice laps showed us low current was being used) up to size 20 tooth. Even though we knew we couldn't win the F24+ championship, we still had some hopes for the last F24+ race for 3 of our team members, two of whom are going on to study forms on engineering at university. Unfortunately the race couldn't have really gone much worse as we got picked up on the recovery truck before even completing the first lap. This was due to a puncture in the front right wheel whilst going round a tight bend, causing the car to spin and gain two more punctures in the front left and back left wheels. The car also then crashed into a wooden wall, but the driver managed to hit the side of the car. This incident resulted in the tracking to be lost slightly (we think, yet to be checked) and the foam on the left side of the car to be hit back, causing the rear tyre to wear away on the insulation foam in the next race. The F24+ team members then sportingly withdrew from this race to give the F24 members a better chance in their race later on. After a quick tyre and inner tube change (for all the wheels), the team settled down to watch the rest of the F24+ race and corporate challenge. Fellow school members, ByPod, managed to reach 3rd place position in both this race and the championship, a remarkable achievement for The Pod Movement Team. Also, congratulations to Jet, Dougal, Silesian Greenpower, JLR Driven and Walkers for gaining podium places in the Corporate Challenge or the F24+ championships. In the break between the first and second races, the teams set out for a quick parade of the cars. This was closely followed by the starting grid positions. Tension was in the air for the whistle, but then they were off! Dawn was the first driver for Rotary Racer, and she managed to get us up to 2nd position within the first half lap where she stayed for her entire 40 minute stint. After Dawn was a speedy pit stop and Steph was sent out, managing to remain in 2nd place behind Dougal. The first battery change saw Tom get into the car with brand new batters (from our RAF sponsors) and our position dropped slightly due to the pit stop (even though it was speedy). These first three drives were the last F24 drives for all three drivers but now we look forward to seeing them in F24+ next season! After 40 minutes of Tom driving, Jacob took over driving, keeping us in a steady 4th place position behind both teams from the Weald School and Raptor Fusion. In the last 80 minutes, another battery change was undertaken and our last (and speediest) driver, Louise, took to the wheel. She battled through the conditions, using the car computer as instructed over walkie talkie even though the display had broken due to the wet conditions. As the first place car dropped out due to electronic failures, Louise managed to work her way up to first position where she stayed for nearly an hour, clenching the first place position as she crossed the chequered flag 118 miles from the start. This year had been a great experience for the team after building the new car and testing it out on race days. We've finally managed to get our communication system (walkie talkies sponsored by the RAF) completely sussed and with this, and speedy pitstops, we were able to communicate and cooperate well as a team. Teamwork is the key in a competition like this, and we managed to prove that. The final was an excellent end to the season, and hopefully we'll come back and improve even more next year! Fellow school teams T-Pod, Alderley Express and Chain Reaction also all did incredibly well, gaining 51st, 35th and 34th place respectively. A massive thank you is in order for all of our sponsors, Mr McMorrow, all the volunteers on the day and Greenpower themselves for making this engineering opportunity possible for the team. THANK YOU!! Siemens Innovation Award was presented to Ares, Team USA for their use of electronics & telemetry. 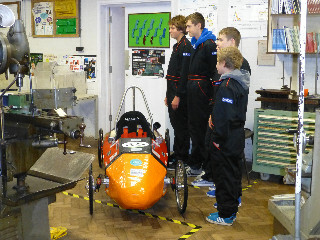 IET Technology Award went to Viper, Taunton School for the use of cutting edge technology in the design and build of the car. IMechE Best Engineered car was awarded to Bernard, Two Rivers School which was judged as being beautifully engineered throughout. The Best Presented Team, for their unswerving support of each other, and the funky face paint logos was Hummingbird from Plymouth High School for Girls. Greenest Car was RLR1, Richard Lander School. 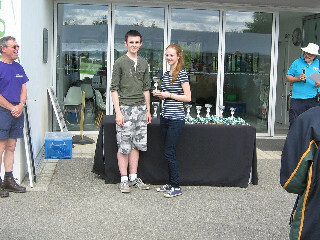 Most Improved Car was Rock on Raptor (up 33 places) and Best Newcomer was Max from Babbington Community College. 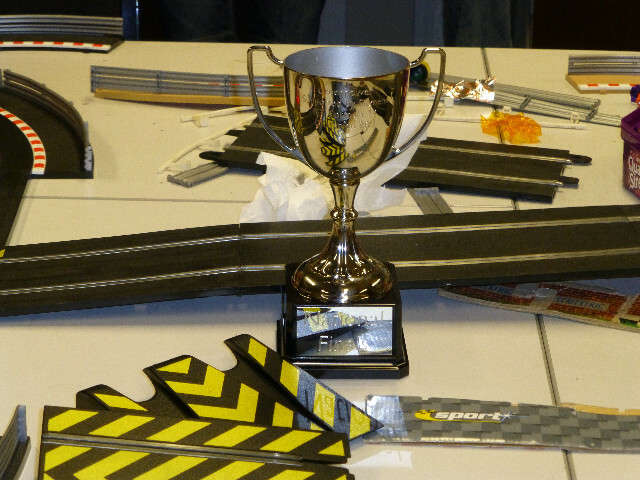 The IMechE Eastern region award for top car from their region went to Inferno, Mark Rutherford School. On 22nd September, the whole Rotary Racer team took to the track at local race circuit, Castle Combe, with the new car, with the aim to gain 'Best Gloucestershire Car' once more (it's been won by this team 7 times in the past). During practice we were able to see that the car was going well and the new drivers were able to get a chance at getting used to both the car and the circuit. However, we quickly realised that, even though some improvements had been done on the car, pit stop timings still needed a vast improvement. The F24+ race started just before midday and we had three team members working during this race: Gareth Barnaby, Dan Dando and Ben Miller. Dan started off on the first 45 minute stint, managing to get the car into 3rd position behind Dougal and Jet who were battling it out for first and second. After a speedy pit stop and driver change, Ben took the wheel and kept the car steady in 3rd position for when it crossed the finish line. Overall, the team completed a total of 55.5 miles, 11.1 miles in front of fourth place. The expectations weren't so high for the F24 team as they chose to drive with all 7 team members, adding an extra two pit stops (which weren't too speedy) to the race. Also, a couple of new members were driving so they had yet to get fully used to the car and the track. 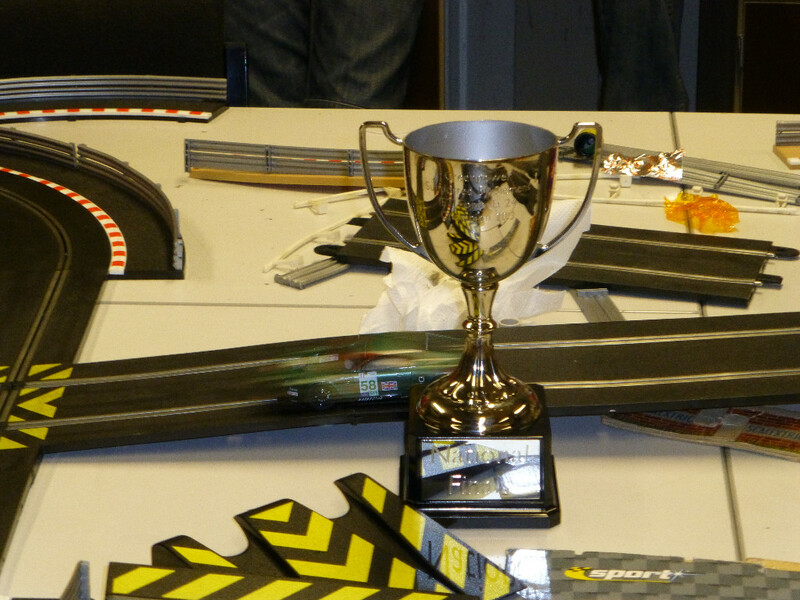 However, we were still aiming to win the 'Best Gloucestershire Car' cup! Dawn was driving first and she quickly managed to get us up to the first two cars, battling it out with Dougal in the first 40 minutes. Both of the cars were neck and neck when we pulled in for our first pit stop, changing to Steph. This pit stop slowed down our time slightly, but Steph managed to continue the quick pace, preventing the gap from growing between us (now in 2nd) and Dougal. Onto the next set of batteries and Jacob was zooming along using little current but high speeds as he kept us in a solid 2nd place. Becky was in 4th, and being a new driver we expected a slower lap timings, but she amazed us all, managing to nearly level her timings with the experienced drivers (and keeping the throttle on full which Dawn was very happy about!). Michael also continued this, driving after Bec ky, keeping the car in 2nd place position and preparing us with extra time to complete our next battery change. Tom was on the next new set of batteries and in the last 75 minutes of the race. The car was still running exceptionally well at this point, and Tom was lapping approximately 5 seconds a lap faster than Dougal (who had remained in 1st place). However, the gap was too big and even with our last driver lapping 15 seconds faster at most points, we were unable to catch up Dougal. g motivation to improve the car for the future. This day we also managed to set up and use our new marquee for the team, helping to keep us shaded so we were able to see the laptop screen! Thank you to the RAF for sponsoring us with the money for this, definitely worthwhile! Thank you as always to our sponsors who keep the team running and allow us to compete in this fabulous engineering initiative. 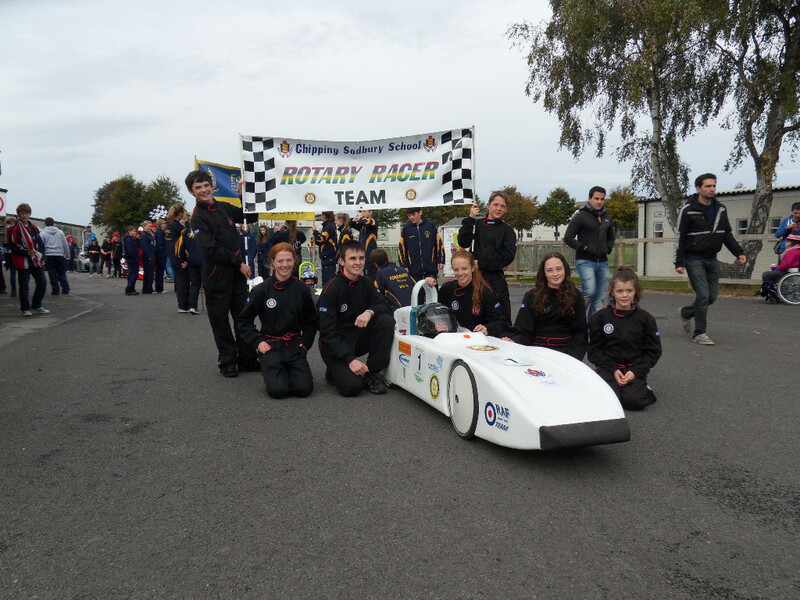 So it is onto the Greenpower national Final on Sunday October 13th. 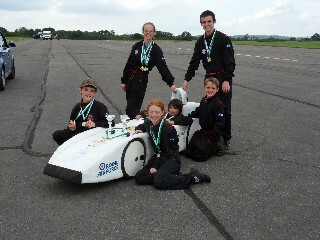 All 4 Chipping Sodbury Greenpower teams, running 5 cars, have managed to qualify for the final and will be competing in the F24+ and F24 races. Rotary Racer, ByPod, T-Pod, Chain Reaction and Alderney Express. I think there will be internet commentary on twitter using the #greenpowertrust tag I believe. The day at Merryfield promised to be exciting as the team arrived with high spirits to match the dry weather conditions (a lucky surprise!) on the day. Quickly after arriving, the team and car went to scruitineering where they got checked over by the race clerk, helping to demonstrate to the volunteers how a car would be scruitineered. After passing this, the team set up camp and set out for practice. The car was running smoothly and the team members gained vital experience which would be needed for the race later on in the day. However, the telemetry aerial (used for the team to access data from the car) wasn't working as it should, only reaching just across the closest section of the track. The team tried to work out a solution by replacing both the aerial and telemetry box but unfortunately the problem was unsolved and we had to go into the race with limited access of data to the car. As the race started, the team proved to have tough competition from rival team Viper who were leading the race by just under 4 laps. Dawn was the first to drive, and on a duff set of batteries it wasn't all that the team had hoped. Nevertheless, the team battled on as second driver Michael got into the car. With the first set of batteries, Rotary Racer managed to climb up into a secure 2nd place before going into their first battery pit stop. Next into the car was Tom who sustained the 2nd place position, lapping at similar times to the race leaders but not quite quick enough to catch them. This continued as Jacob got into the car, and even after our last pitstop as Louise got in to complete the last 80 minute stint on our best set of batteries. Unfortunately for Viper though, in the last hour they suffered a rear puncture causing them to have to pull into the paddocks, losing vital time as they fixed a new tire and inner tube to their car. This extra time was just what Louise needed to get herself into the lead where she remained for the rest of the race, clenching a first place finish just one lap in front of Viper. Merryfield was a fantastic day for the team and it was smiles all around as they went up to collect their trophy and medals after having completed 103 miles on the day. Also, the team were recognised for their good sportsmanship and were awarded a 'Spirit of Greenpower' cup for their help of lending a spare inner tube during Viper's puncture. Also at the race day were fellow school teams Chain Reaction and Alderley Express who both had brilliant races finishing in 12th and 18th respectively. A brilliant day for all, and another massive thank you to all our sponsors and to Greenpower for making these days possible for all the teams. 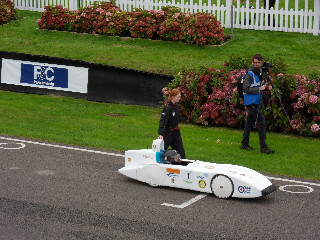 On 9th June 2013, the Rotary Racer team took a journey to Goodwood motor circuit where they were to be found racing in both the F24 and F24+ races of the Greenpower challenge. This was the first race for the new car (which had been hurriedly finished the day before) and we were hoping to get a chance to see how it would go in the races. In F24+ the car worked remarkably well, managing to complete 50.4 miles in the 90 minute time frame, gaining 3rd place for the team just behind fellow school team BY-Pod (who also completed 50.4 miles). This result showed that the car was performing as it should, and we were all excited to see how it would cope with the further competition that the F24 race brings. The F24 race also went well with the team managing to get 9th position out of the 45 cars who took part. This was a great finish for the new car and gave us many areas for improvement that were looked into in the weeks following the race. All 7 F24 drivers were competing in this race, giving everyone a chance to get a feel for both the car and the track. However, in the following week after this race we realised that there had been a major problem with this car during the F24 race. The car data logs that we had returned showed a considerable decrease in efficiency between the different races, and this was soon found to be a problem with the brake levers being left on slightly in the front wheels during the F24 race. This problem was soon rectified, but showed that everything needs improving! Thank you once more to all of our sponsors who make all of this possible for the Greenpower team.